The story of global energy prices is being driven by a simple phenomenon— a rise in that of conventional fuel and a softening of renewable energy rates. Iran’s recent taunt gives a glimpse of the precarious oil market. Even as it stares at possible embargoes over its nuclear programme, it has warned that any attempt to block oil exports would double global crude prices. In contrast, power produced through the renewable route is getting cheaper. Solar panel prices have dropped by as much as 40% in the last year. They are likely to drop further, even as the US is investigating charges of unfair Chinese trade practices, following several American solar panel firms going under. The Indian government’s renewable energy policy has captured the global trend to a large extent through an efficient procurement process. The recent results of the second round of offerings under the first phase of the National Solar Mission (NSM) are impressive—average tariffs have dropped 27% over that in the previous round. But when it comes to dealing with the larger issue of meeting the burgeoning demand, this isn’t inspiring. NSM has bid out a mere 500 megawatts (MW) in the last two years and hopes to add 20,000MW by 2020, whereas the ongoing annual capacity addition is in the region of 8,000-10,000MW—and even this pace is unlikely to achieve the 11th Five-Year Plan target. And, even though solar rates have dropped, they’re well over twice what it costs to generate coal-based electricity. What the renewable story has brought out is the entrepreneurial spirit of Indian companies when provided with the right environment. The NSM policy has insulated them from risks by getting a government-owned company to buy their power. Meanwhile, the conventional fuel story is further vexed by a rising percentage of coal imports. In this context, a renewed policy thrust in the hydel segment would do well to push capacity addition at reasonable tariffs. 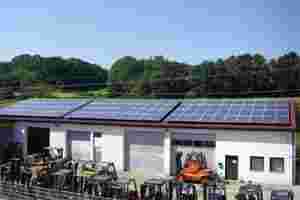 Furthermore, with the health of state distribution utilities going from worse to critical, the government needs to insulate the inordinate power-purchase risks to foster entrepreneurial abilities of the kind seen in the solar business.